For all you business owners, ask yourself how do your customer’s find you? Is it through your website, advertisements or social media platforms? It could be a combination of these or only one. How do you want your customers to feel about your brand? Keep this feeling in mind. Now ask yourself, does what a new customer see about your business match what you want them to feel or perceive? If the answer is no, the chances are your images and visual content may not be up to scratch. The most simple and incredibly important reason to hire a photographer is to improve your customer’s perception of your business. Images can tell a thousand words. So you want to make sure your images are saying the right things about you and your business. We live in an image-centric world where consumers heavily rely on visuals to tell them about a business. Consider this- would you trust a business if their website was text-only, no images about their product or services, or the people behind the brand? Most likely, no! It doesn’t tell us much about the brand, and can look unprofessional or sometimes appear illegitimate. Without images to represent your brand, you are pretty much invisible to consumers. Using strong visuals will help you stand out from the crowd, attract your customers, build trusting relations and improve brand recall. Let me give you an example to put it into perspective. If you’re a hair salon for instance, showcase your work and skills by taking photos of your clients. Before and after shots are a great way to develop your portfolio. Your clients are the best ambassadors of your work! You could even highlight the products you sell or use when styling your client’s hair. This way, new customers can easily identify what you do well and what you sell. 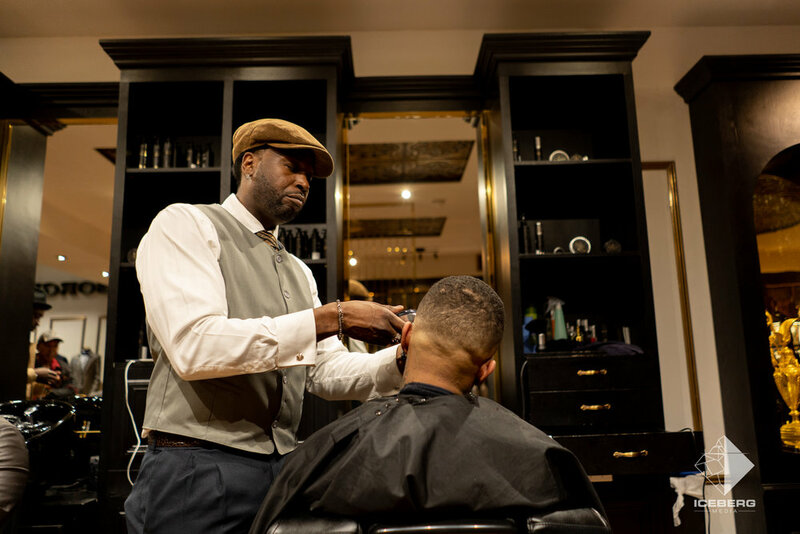 Check out our photos of Borgioli Barber shop below. You can tell a lot about the business, the atmosphere and uniqueness about the brand from these images. Iceberg Media capturing Borgioli Barber shop. While stock images might represent your business, your industry or what you are talking about, they don’t reflect the authenticity of your business. Every business is different. Take two coffee shops for example. They both might sell coffee, other beverages and breakfast, but if both have a stock image of coffee, it doesn’t highlight the uniqueness of your business. It doesn’t reflect your brand story or share anything personable. People will be attracted to your cafe if they see vibrant visuals of your delicious menu, cafe atmosphere and what makes your business unique. You need to highlight your competitive advantage! And visuals are key to this. Check out the images below to see how a professional photo of your business is a better representation than a stock image. 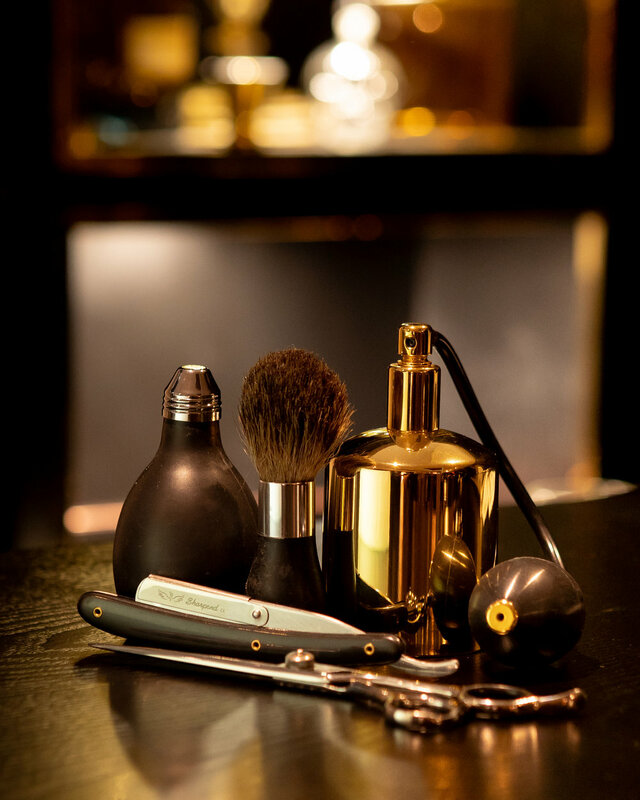 You can see the image on the left of Borgioli Barber shop showcases their product and gives customers a better idea about their brand, in comparison to a generic stock image on the left. Iceberg Media capturing Borgioli’s unique salon equipment. Anyone can freely access stock images, so it makes it pretty easy for the general consumer to spot. They don’t convey the same emotion your own photos of your business will. And quite often, stock images can even make consumers feel like the brand is not real. Customers recognise when your photo is real and develop stronger trust for your business. Even taking photos with local scenery or buildings in the background can trigger an instant connection with customers who recognise the environment. So, putting real photos of your business can improve your brand image and better attract new customers. Marketing material- from brochures, posters, flyers, advertisements or business cards, you will need and want great images to showcase your business. You need to be aware that first impressions count and your customers will make judgement of you based on what your visual content and material. After all, this says a lot about your brand. If you are looking to update you marketing material, website or team images, we can help you! We provide services for all you business people from professional portraits, event photography to testimonial videos.